Sunday will mark the fourth annual Canadian Women’s Hockey League (CWHL) All-Star Game, showcasing the best of women’s hockey. 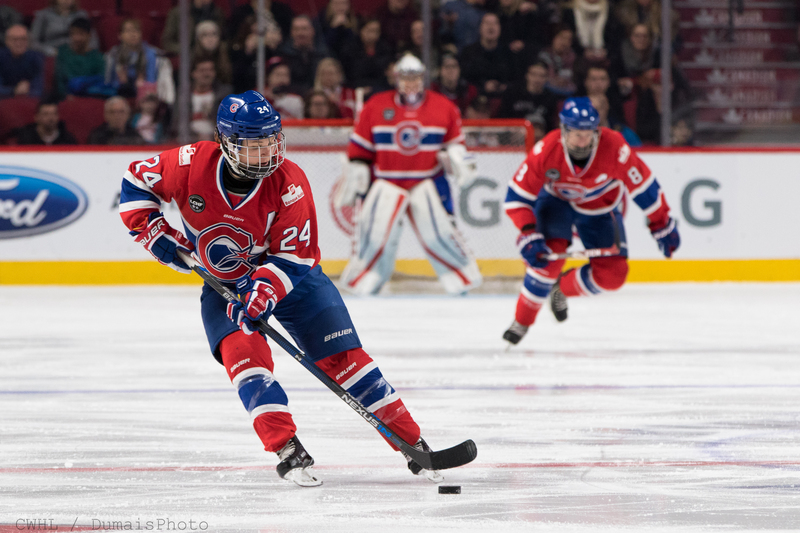 Les Canadiennes de Montreal and former McGill Martlet forward Ann-Sophie Bettez will be in a class of her own, as the only former U SPORTS women’s hockey player to play in every All-Star Game dating back to 2014. But individual accomplishments aside, she hopes to continue the trend that the CWHL is heading towards, growing the game that offers some of the best hockey around. "Every year, women’s hockey is getting better and better, so it’s not a given you’ll get invited." Over the years, U SPORTS student-athletes have been making a transition to the CWHL after wrapping up their university careers. Bettez is joining reigning Clarkson Cup champion Liz Knox of the Markham Thunder, who played for the Laurier Golden Hawks, and Calgary Inferno defender Brigette Lacquette – formerly of the Manitoba Bisons – as the three U SPORTS representatives at the All-Star festivities this year. After successful careers at the U SPORTS level, the resumes of these three athletes are rich in accolades. Sept-Iles, Que., native Bettez was named U SPORTS Rookie of the Year in 2008, and captured the Brodrick Trophy as national Player of the Year, as well as the BLG Award as U SPORTS Female Athlete of the Year across all sports in 2012. From there, Bettez would win the 2013 CWHL Rookie of the Year award, before earning the 2014 Angela James Bowl as the CWHL scoring champion and CWHL MVP honours. In 2017, she would add a Clarkson Cup championship with Les Canadiennes. 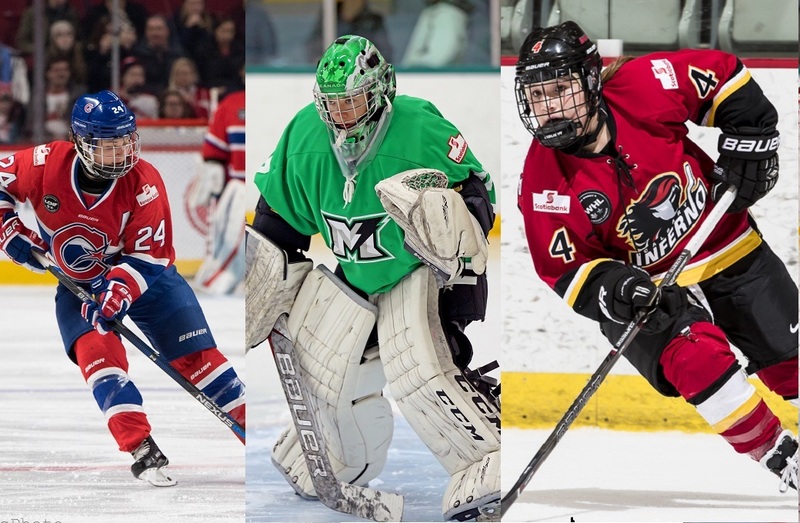 Building off successful careers at the U SPORTS level, these athletes have been able to make an impact in different ways with their CWHL teams. And with the foundation from already playing in Canada during their university careers, the transition to the professional ranks was seamless. For Bettez, it was mainly just a change of arenas. Lacquette went on to finish her career in the NCAA with Minnesota-Duluth and was part of the silver medal-winning Canadian roster at the PyeongChang 2018 Olympics. In South Korea, she made history by becoming the first-ever First Nations woman to play on Canada’s Olympic Team. Lacquette has had the opportunity to build off her Olympic experience, and share the challenges she faced along the way to playing professional hockey. 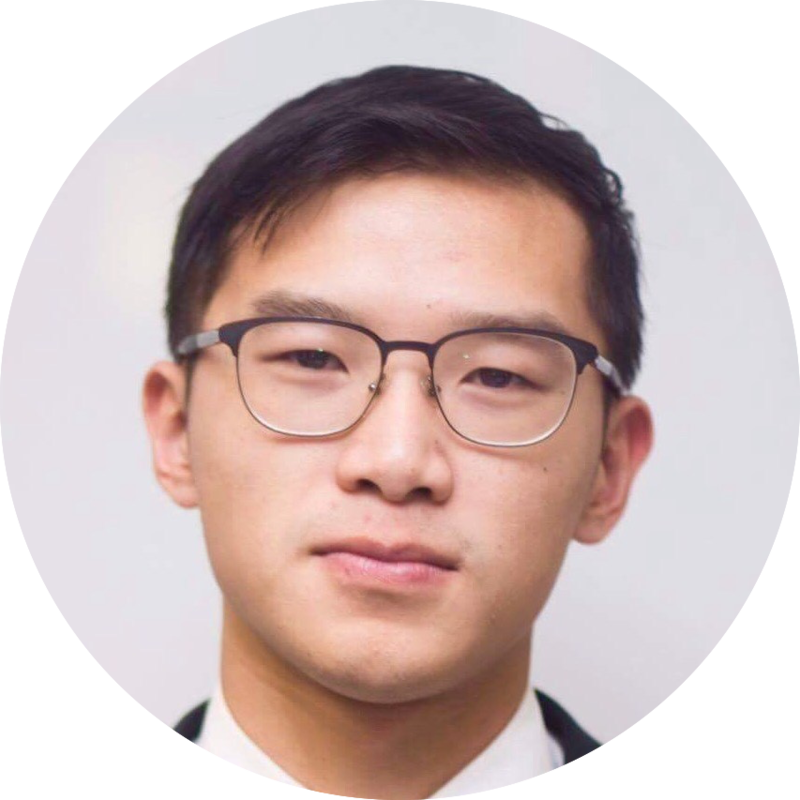 "Growing up having to face racism and being bullied, it helped me develop a thick skin and has taught me to focus on myself and reach my goals." 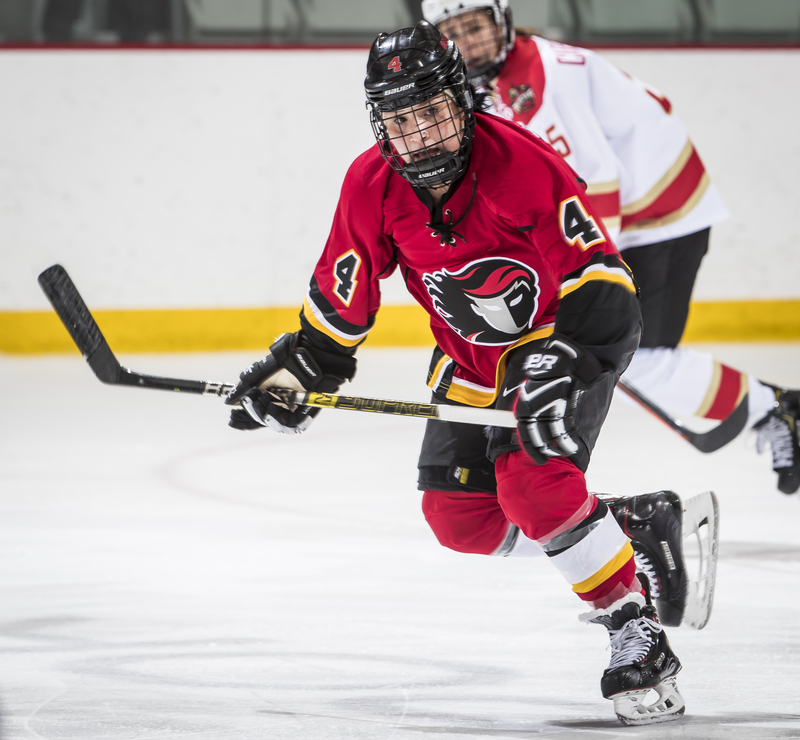 Now in her third season with the Calgary Inferno, Lacquette continues to show what she can do at both ends of the ice, leading the Inferno to a Clarkson Cup title in 2016. 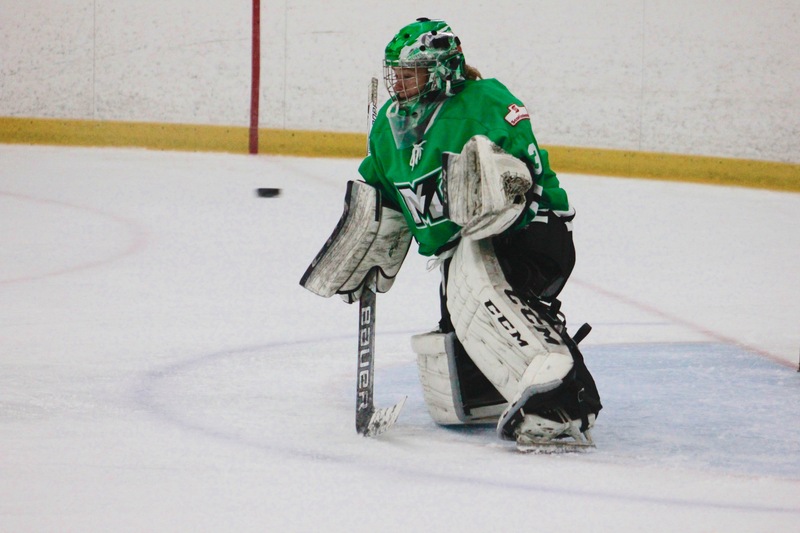 Seven-year CWHL veteran Liz Knox has also become a leader in the league since being drafted by the Thunder. The co-chair of the CWHL Players Association, Knox is a four-time OUA champion, the 2010 U SPORTS Women’s Hockey Player of the Year and a former BLG Award nominee, She also won an Australian Women’s Hockey Ice League title (AWIHL) in 2014, before helping the Thunder capture the 2018 Clarkson Cup last season. Entering All-Star Weekend, the former U SPORTS players have continued to shine, earning their spot in this year’s showcase. Bettez ranks second in the league in goals (15) and points (31) in 19 games, while Lacquette is second amongst defenders with a career-high, 17 points in 20 games. Knox rounds out the trio as one of the captains voted for the All-Star Game by the fans alongside Lacquette, who will also wear a 'C.' For Knox, it will be her first All-Star Game appearance, something that took her by surprise when she found out the news. “Being in the league for so long and getting this opportunity so late, it’s so greatly appreciated,” she says. "On the captaincy, the biggest part and honour about that is I know where it’s come from. It’s from my peers, our GM (former Saskatchewan Huskies captain, Chelsea Purcell) really pushed the campaign, people I’ve played against, people I’ve met in the hockey community, even friends from high school. To feel like I’ve made an impact on some lives I’ve touched along the way is probably what makes it that much more special." One of the differences between U SPORTS and playing professionally, Bettez says, was the time that was spent on the ice. At the U SPORTS level, she’d suit up almost every day, but now at the CWHL level, she only practices twice a week due to working a full-time job, among other commitments – often ending late at night. That’s what makes this All-Star Game so important for these players and the sport. Being able to continue to grow the game, and seeing the impact it makes on the next generation. Being able to play in Canada and seeing the growth of the sport is what keeps Bettez, Lacquette, and Knox motivated as they step on the ice. 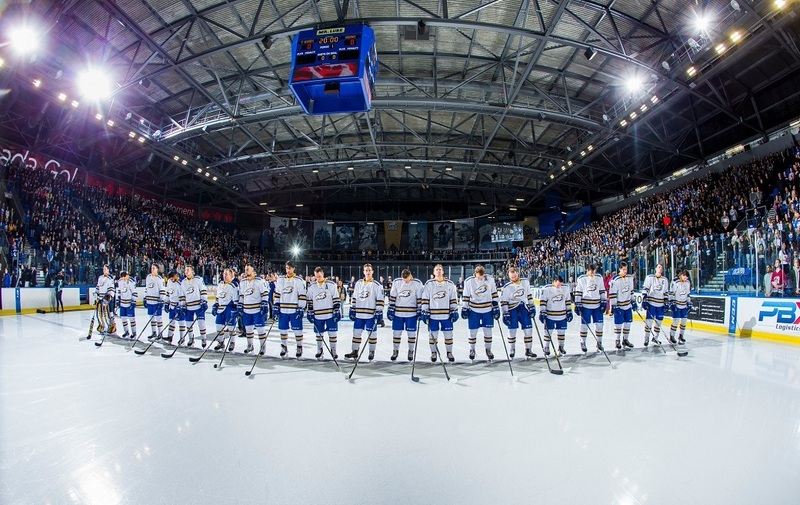 With Sunday’s game broadcasted live on Sportsnet and hosted at Scotiabank Arena in Toronto, the CWHL is showcasing the best of the best and the players hope it will make a difference. For now, the trio will take it all in at the CWHL All-Star game, celebrating the game, their journey from U SPORTS to the CWHL and how far it has all come.